OUR country is going through the best of times; the worst of times; but also the scariest of times. It is the best of times because it offers us a window of opportunity to gather ourselves again and renew our socio-political contract. In this regard, it’s almost like a ‘now or never moment’. If the desperate madness happening in our politics is not indicative enough of the need to do this, I do not know what else will. At the rate we’re going, we shall either continue being dragged down by politicians who seem more concerned about their own survival than our collective wellbeing, or have to act decisively to stop the rot through increased civil society vigilance and activism. The work of groupings such as ‘Save South Africa’, ‘SA 1stForum’, and others, is far from over. It is the worst of times because there is fear and confusion all around us. Prominent politicians have resorted to singling-out whole racial groups to make threats against them while the rest of us seem to simply look on. We look on because we do not feel targeted by the threats; not yet. But these threats are being made against our fellow South Africans, people who are part of the important kaleidoscope that is South Africa. If they get hurt, so shall we all by default. We remain silent because the politicians in question have found a smart way to use the lingering pain of apartheid injustices – the unfinished, yet ongoing, business of sorting out our messy legacy – to cloak their genocidal threats. Some of us have even resorted to applauding the madness because it suddenly feels like the right buttons have been pressed on their behalf. 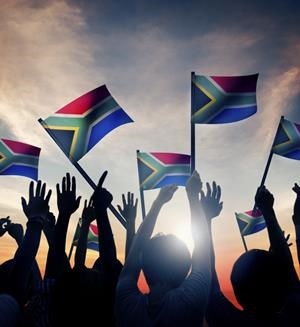 They have conveniently forgotten that if the spirit of Ubuntu is anything to go by, “we are because others are” – our wellbeing is tightly linked to that of our neighbours; our fellow human beings; our fellow South Africans. All of South Africa’s communities are tied together by a web of written and unwritten social-political contracts. If one gets attacked, the others should stand-up in its defense – not only because it’s the right thing to do, but because each part contributes to the intricate whole. It is a messy basket of seemingly unconnected dots that are nevertheless connected. The sheer number of them intimidates some of us into inaction, fear, confusion, even a level of complicity. We seem to lack the energy, the will, or even the wherewithal to connect the dots and to come to terms with the ugly picture they present. These dots are the radically changed political map of South Africa following the 2016 Local Government Elections; the ongoing allegations of nefarious, repeated, attempts to take control of our National Treasury and state-owned entities (some of which are already on their knees); the threatened integrity of our Chapter 9 Institutions; the highly protected file in the vaults of the NPA said to contain some 783 criminal charges against the President; the President’s determination to hang on with dear life to his position – willing to take his seemingly complicit party down with him – in order to keep occupying the vantage position of choir master; the looming ANC elective conference in 2017; the progressive weakening of the former political giant that was Cyril Ramaphosa in preparation for an ANC candidate who can be trusted to protect the current President after his mandate ends; the growing plethora of acting, therefore pliable, CEOs and other senior officials in government institutions, all servicing mandates that no longer seem to be in tune with our national interests; and so on and so forth. The looming picture of what our political map will look like after the much anticipated 2019 general elections is like a basket of unpredictable outcomes. For some, it is a chance to finally take over national leadership positions and carry out their genocidal madness; for others, it will be the end of an era and a feared arrival at the tip of a political precipice. To each one these groups, ordinary South Africans are just disposable toys to play with; they constitute a means to an end. They will be pitted against one another, divided along racial and other lines in a bid to divert them from the onerous task of connecting the dots. But only they and South Africa have much to lose. The time we’re going through needn’t be the scariest of times. We need to remind ourselves of why we stand together as a nation, make an honest evaluation of our achievements over the past 22 years and renew the pledge. Renewing the pledge should also entail looking into the mirror and engaging in the uncomfortable conversations that we seem adept at kicking further down the road each time we arrive at them. Doing this means agreeing, once and for all, on ways to sort out the land ownership question, racism in our communities and places of work, socio-economic inequalities, corruption, etc. without the need to tear our nation apart. Instead of unhelpful racial profiling, we should also celebrate the thousands of South Africans of all backgrounds who silently give a lot of themselves and what they have by bridging the divides between individuals and communities right across the country. There are monsters and there are nation builders in all communities. We should learn to tell the difference and resist political manipulation by people who lack the wherewithal to lead a diverse nation such as ours.